According to the Wall Street Journal (via The Verge), Lenovo will try to cash in on the nostalgia factor, a growing trend in consumer electronics, and launch a brand new device with RAZR branding. Little is really known about the plans, but rumors suggest it will have a folding display similar to the upcoming Samsung Galaxy F.
It's unclear whether the phone will run Android, but since all of Lenovo and Motorola's current mobile devices do, it's highly probable. 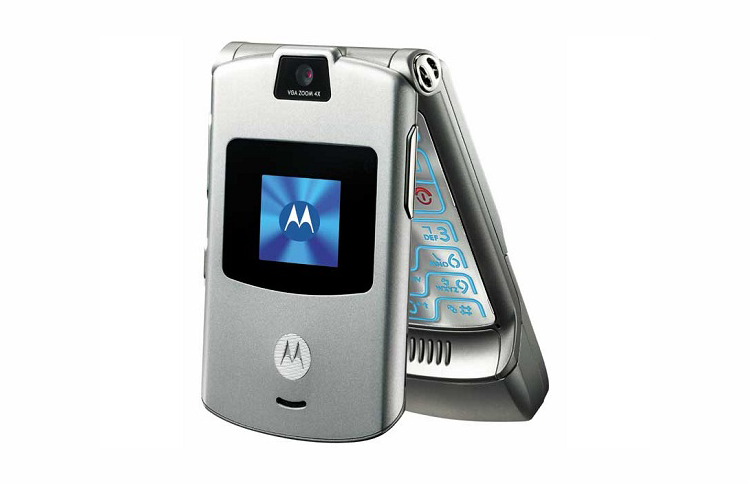 It's also not the first time an Android phone has been launched with RAZR branding. The WSJ report says the phone is currently in testing and could be released as soon as February as a Verizon exclusive. Nothing is yet known about specifications or exact form factor, but Lenovo is apparently hoping to build more than 200,000 new RAZR models and sell them for $1,500 a piece. It'll have to be pretty damn impressive to shift that many units at that price. With February nearly behind us, those Verizon launch rumors don't seem too likely to pan out, but will we see this RAZR folder at some point? To hear some recent statements from a Motorola exec, that sounds like a very distinct possibility. "We started to work on foldables a long time ago ... and we have been doing a lot of iteration"
That doesn't help us narrow down a timetable any, but does add a bit of credence to the initial report. With more and more companies getting in on the folding-phone craze, though, Moto had better not dawdle if it wants to grab shoppers' attention.